Week of open studio on Radiomost station in Kyrgyzstan, opening doors on Radio "Uzbekistan" and the winter school of digital literacy in the mountains of Kazakhstan celebrate World Radio Day in Central Asia. These and hundreds of other events are marked on the map of the celebration of World Radio Day 2017. We are living a revolution in how we share and access information – and, yet, in the midst of deep change, radio has never been so dynamic, engaging and important. The first community radio of Talas "Radiomost" from Kyrgyzstan opened doors of the radio studio to check and improve the radio programs quality. Starting from February 7, 2017, during three days, the radio broadcasts feature programs and talk shows with the participation of community radio council, association of community media and citizen reporters. The keynote gear Radiomost chose the theme of celebration: Radio is you! Also Radiomost in Kyrgyzstan has three more community radio and and twenty community multimedia centers united by Association of Community Media of Kyrgyzstan, many of them, also celebrate this day. February 9, 2017 - Radio "Uzbekistan" holds an open day inviting the audience to work together to discuss topics of education and needs of the audience. 13 February 2017, the Russian Radio Asia broadcasts series of the radio programs devoted to the World Radio Day, making radio-checking and inviting auditoriums to interact. The words from the Message from Ms Irina Bokova, Director-General of UNESCO on the occasion of the World Radio Day are broadcasted in the stations: We are living a revolution in how we share and access information – and, yet, in the midst of deep change, radio has never been so dynamic, engaging and important. 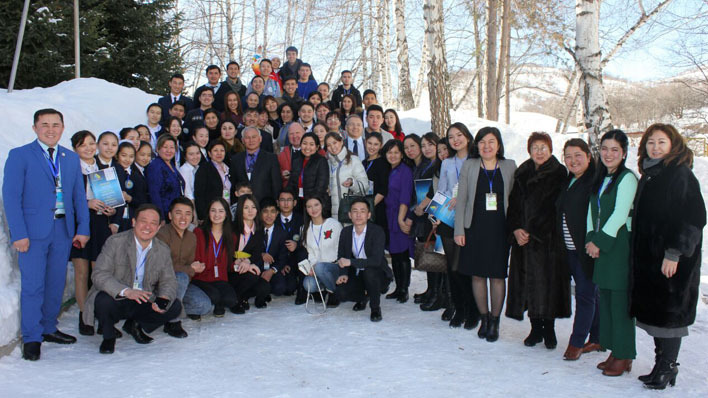 Students of the faculty of journalism from al-Farabi Kazak National University, prepared interviews with the well known staff of international organizations, and academia representatives in the framework of the Digital Literacy Winter School organized, from 9 to 11 February 2017 by Public Foundation Mediasphere in the resort in Trans-Ili Alatau mountains. The event is supported of UNESCO Almaty Cluster Office, the United Nations Information Office in the Republic of Kazakhstan, Club of Chief-Editors, Kazakh University Publishing House and Turan University.150 journalism students and media professionals from Kazakhstan and Kyrgyzstan participated in the three-day debates, workshops and trainings. Universities from five cities: Bishkek, Karaganda, Petropavlovsk, Kyzylorda and Almaty, send their students to apply new knowledge and skills on digital radio literacy. Rural community radio funs near Astana test the operations of short-wave receivers to support multi-lingual radio. 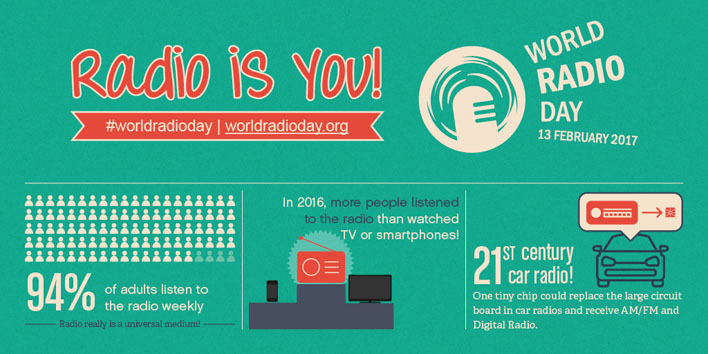 Radio is really universal medium, 94% adults listen to the radio weekly. In 2016, more people listened to the radio than watched TV or smartphones. 21st century car radio! One tiny chip could replace the large circuit board in car radios and receive AM/FM and Digital Radio.